How to Find the Perfect Apartment | 8 Steps to Success! You are here: Home / Blog / Adulting / How to Find the Perfect Apartment | 8 Steps to Success! Finding the perfect apartment can be tricky. I should know – I’ve done my fair share of searching for apartments in my adult life! When I was very young and had never looked for my own place before, I felt absolutely overwhelmed! What do you mean I have to find a place to live on my own?? Where do I even start?? It wasn’t until much later – after my divorce – that I actually had the opportunity to live and rent on my own. And boy was the apartment search frustrating! With no experience in what to look for or where to find it, my first apartment was pretty much what nightmares are made of. The second one was much better, and the third one even better than that. So instead of letting YOU learn things the hard way when it comes to what you should know when looking for an apartment, I’ve compiled a list of everything you need to think about before, during, and after your search. So whether you’re jumping into the adult world right out of high school, or venturing out on your own after a divorce, or whatever your story – stay strong! We all get scared when we don’t really know what we’re doing. That’s why I’m here to help! Let’s get started. 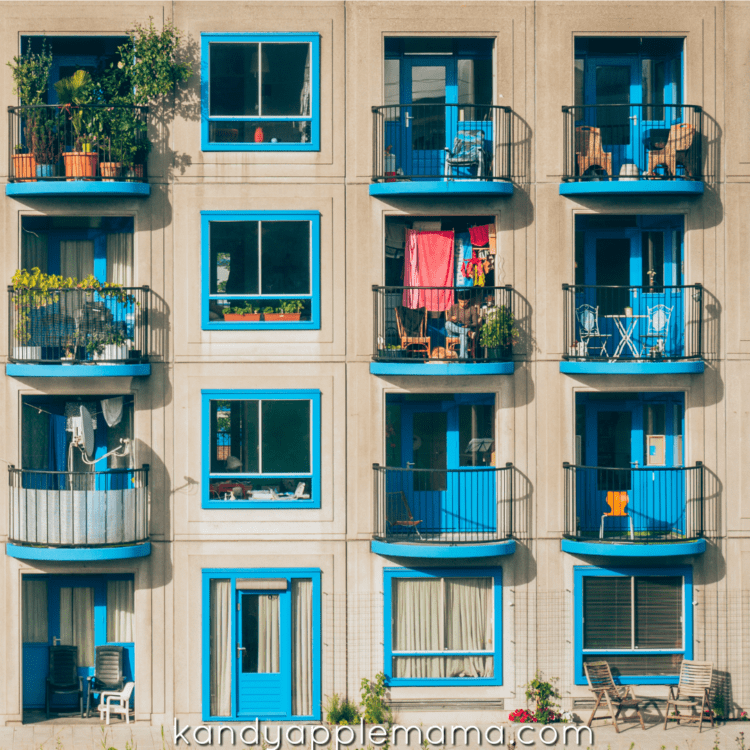 First – Is an apartment right for you? You need to really think about this one. What’s your situation like? If you have kids, are they going to be fine with no backyard? I mean, there are playgrounds, right? If you have a dog, will you be responsible enough to always take them outside on a leash when it’s time to potty(and pick it up after)? If you like painting the walls of your place, are you going to be willing to paint it all back to neutral before you move out again? These are some of the questions you should ask yourself when considering moving into an apartment. On the other hand, if you’re not much of a handy person, you may really enjoy having a maintenance team available whenever something breaks. Or if lawn care isn’t your thing, I’m sure you’ll love not having a yard to take care of. Many apartment communities offer extra amenities as well, like fitness centers, pools, entertainment rooms, dog parks, and more. Price Point – How much can you really afford? Kristen talked about the cost of your home or apartment in her recent budgeting post. To live within your means (which is what you should do as a responsible adult!) you should aim for your rent to stay under 30% of your income. Calculate it! Take your average monthly income and multiply it by .3 – that’s 30% – ideally your maximum price for monthly rent. For example: If John earns$3600 a month –> 3600 x .3 = 1080 -> In other words, John should be looking for apartments under $1080 per month. While it’s our belief that one should always live within their means, you should also know that this price point will directly affect not only how nice your potential place will be, but also the location – but we’ll get to that in a sec! If you think 30% of your income won’t get you the kind of place you want, think about sharing the cost with a roommate. Whether it be a friend, a relative, a boyfriend or girlfriend (obviously only if you’re both truly committed!) – living with a roommate can help you both get into a potentially nicer place, with more amenities, and in a better location. Oh! And remember – rent is not the only extra expense you’ll have when living in an apartment. And the rent price these communities advertise is not usually what you end up paying. Don’t forget to consider the cost of renters insurance, electricity, water, parking, pet fees and/or pet rent, trash and pest fees, and possibly storage. Now it’s time to think of where your perfect apartment might be located. Do you have kids? Which areas are known for having a better school system? Do you need to be closer to work? To family? Daycare? Are you willing to commute to work a bit longer if it means enrolling your daughter in a better school district? Or maybe you’re single and would rather be closer to bars and night life? Pull out a notepad or sheet of paper and jot down the locations you have to live near. Be sure to include the amount of time you’d be willing to commute to work or school. Now pull up Google Maps on the computer and figure out where all these locations are that you have to live by. Is there common ground you can focus on? Whatever city or area fits all your needs, that’s your golden ticket. Of course, keep in mind that if you look at neighborhoods slightly farther out (at the edges of ideal areas) you may find larger apartments for less money. But don’t let money be the only factor – your safety is important, too! Now, what exactly are you looking for in your own place? Don’t put that notepad away because you need to make another list! This time you’ll want three columns: Needs, Wants, & Things to Avoid. Needs: What are the things you absolutely have to have in an apartment? Maybe your kids need their own room(s). Perhaps your larger family simply can’t function with only one bathroom. Or maybe you love working out at home so you have to be on the first floor so that your jumping around doesn’t bother anyone. (Yes, that was a legit concern of mine.) You might even add “security gate” if you’re worried about safety. Whatever it is that you have to have, list it. In the “Wants” column, list all the things you’d like to have, but aren’t necessary if the price is right. This is where most people put dog parks, on-site playgrounds, pools, fitness centers, recycling dumpsters for the environmentally-conscious, a fireplace, laundry area, etc. I really wanted a backyard area for our dog when we moved to the apartment we’re in now, but it wasn’t a necessity. Lucky for us, they had one available with a small backyard. But if they hadn’t, we probably still would have moved in. Things to Avoid: What are you absolutely not okay with? Make a list of anything you are absolutely not okay with for your new apartment. For example: community laundry areas, or washer and dryers that only take credits on a special card. Murdering or drug dealing neighbors (yep, both happened to me). Security gates that don’t work. Rusted, broken down playground areas. Use your imagination! One thing to really keep in mind is the laundry situation. At my first apartment, there were no washer/dryer hookups, only a community laundry area. It only took credits loaded on a special card the leasing office sold to residents, and half the time, those machines weren’t working. Consequently, I spent way too much time and money at the laundromat. When I moved to my next apartment, I made sure there was a washer and dryer area inside my apartment – and I bought my own machines! Now that you know what you’re looking for, how do you find it? The most popular way is through websites like Apartments.com, Rent.com, ApartmentGuide.com, or Zillow.com. No matter what website you use to find apartments nearby, make sure you keep a healthy suspicion about any listing. Most of the rentals or homes for sale sites aren’t automatically updated each time a place sells or is taken off the market. Make yourself a list of all the apartments you might be interested in, including their name, location, price point, and phone number. Give them each a quick call to see what’s currently available, if there are any specials going on, and what their hours are so you can come in and look around. Most leasing agents are super excited to get another customer and will ask you to make an appointment to come in as soon as possible. If you’re wanting someone familiar with the area to show you around, try hiring a local realtor. They’re generally much more knowledgeable than a website and can tell you what’s really available based on MLS listings, will do the negotiating for you, and are usually eager to educate you on each particular neighborhood. Although it’s said that fees for hiring a realtor can be as high as one month’s rent or 15% of the entire year’s rent, most of the realtors I know in the Plano/Dallas area charge very little for apartments. In my experience, the realtors I’m familiar with enjoy helping you find the perfect apartment simply to create a business relationship. They’re in it for the long haul – hoping that when you’re ready to buy a house, you’ll remember how awesome they were before! If you’re worried about the fee but would still like to use a realtor, give a local agent a call. Ask what they charge simply for finding an apartment, and go from there. The ideal time to actually start looking at apartments is a month before you plan to move. From May to August, when school is out, is the worst time to look because that’s what everyone else is doing. If possible, try to start your apartment search in the off months – September to April. You may find even better move-in deals during this time! BUT before heading out to peruse the apartment complex world, make sure you take your “Needs, Wants, & Things to Avoid” list with you. You don’t want to forget an important question when you’re running around. Once you do make your way through your list of apartments to look at, remember that model apartments are best case scenarios. When I leased my first apartment, I did so right after seeing the beautiful model apartment set up. But when I moved in, the one I got was nothing like it! The walls weren’t painted, the floor was concrete, there were no room transitions when concrete turned into laminate, and it was infested with roaches. GROSS. Not that your apartment will be infested, but be wary. The better communities like to show you empty apartments that are actually available to rent – not designated models! Keep security in mind when searching – does the complex have a security gate? Does it work with a key code, a card, a sensor? Are there plenty of parking spots for residents AND their guests? My second apartment had very little parking, which made having people over after 5pm extremely difficult. Check out the garbage situation – is there a dumpster and a recycling bin? Is trash overflowing everywhere because they don’t have enough dumpsters? Do they have curbside pickup? How many trash days are there per week? Be critical of the complex’s community amenities – does their fitness center have updated equipment? Are the pools maintained? Oh! And how does the package and mail situation work? At my first apartment, my packages would go missing from my doorstep. At the second apartment, sometimes they were delivered to my door, other times to my back porch, and occasionally to the apartment office. Now at my third apartment, packages magically go missing after delivery to the leasing office. No matter what package procedures are, know them ahead of time. If possible, talk to residents – How quick and efficient is maintenance? Is the office staff truly helpful when they aren’t making a sale? How is trash pick up? What’s the neighborhood like? Are neighbors friendly? Are there any scary murdering drug dealers? And if there are no residents around to chat with, try Google or Yelp reviews of the place (just keep in mind that with reviews most people only report really good or really bad experiences, no in-between). Take a quick drive to look around the complex and surrounding areas, yourself. Does anything look shady to you? (Gut instincts are usually right.) If there are bars on grocery store windows, it’s probably a pretty shady area. What kind of stores are nearby? If your favorite grocery stores are less than a mile away, I’d say there’s a good chance you’d really like living there! First – Take a Breather! I know that most people preach “Jump on it! Don’t lose your chance!” when it comes to real estate. But if you’re not as familiar with the area and there were some questionable elements in the neighborhood, it’s best not to make any rash decisions. Sleep on it. (I wish I had before signing off on my first nightmare apartment!) Visit the area during the day and during the night, in the middle of the week and on the weekend, to see how the surrounding community behaves. If you’re being proactive and looking for your own apartment during the off months when sales are slower, you may get calls from the leasing agents you dealt with who want you to nail down a contract. If things are slow and leasing agents are calling you about your interest in their community, use this to your advantage. Ask for a deal! What have you got to lose? The worst they could say is no. And if they say yes, you have even more of an incentive to move in. Ready to sign that contract? A couple parts of the lease agreement contract I like to be sure and look for is the length of the lease (we don’t want surprises here!) and what happens if you need to break your lease early. What kind of penalties or extra fees would you incur? Woohoo! You signed the papers! When you sign the papers and get your key, the office staff should also give you a sheet of listed items in the apartment. When you visit your new apartment for the first time, be sure to do a thorough walk through. Take pictures of, and write down anything and everything that is damaged or needs repair. You don’t want to be held accountable for things you didn’t do! Now you can focus all your energy on moving day! Yay! 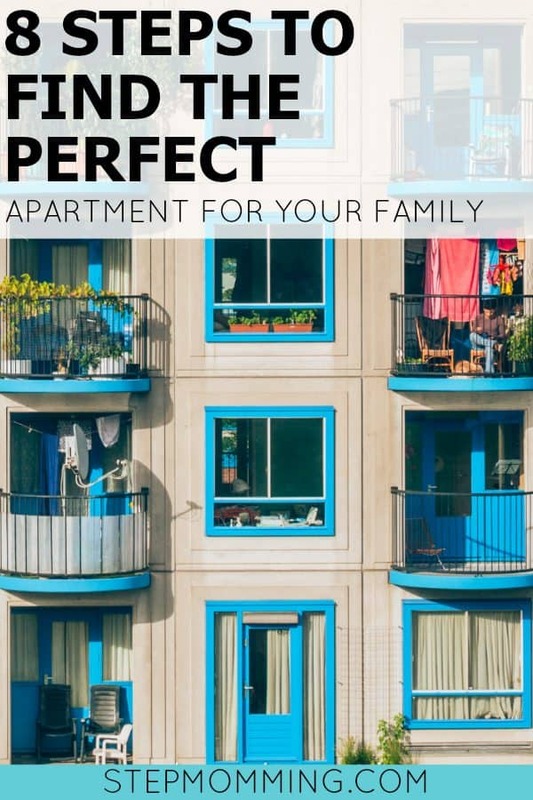 When it comes to finding your perfect apartment, don’t forget to brainstorm ideals ahead of time, keep an open mind when visiting apartment complexes, and don’t make any rash decisions. Once you find the perfect place for you and sign the lease, you’re going to feel so good about yourself. So responsible, so grown up! Congrats! !